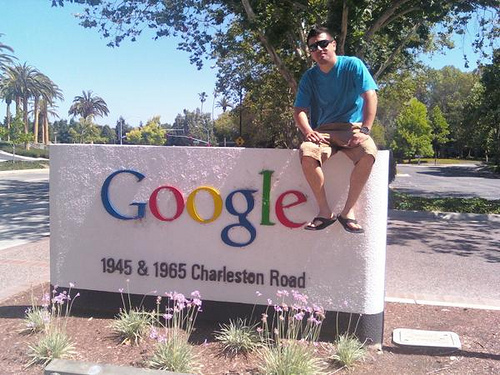 four years ago I was in Mountain View, California, interviewing for a position with Google. It was an odd sort of interview. Lots of puzzles, math-like challenges, and code. Lots, and lots, and lots of code. What struck me at Google wasn’t the challenges. Nor was it the office environment, the cafeteria, or the mini-swimming pool, all of which were impressive. No, what struck me were the people. All of the people I met — and I mean all of them — had this sort of early-twenties look to them. Like the characters in Microserfs, these were “firstees”, young adults in the middle of the first things like life: First job out of college, first house, first child, first mini-van. The google t-shirts, while not universal, were ubiquitous; you couldn’t walk twenty feet without running into someone in Google-wear. Conversations about relocation tended to center on corporate housing, which sounded well … something between a dorm room and an apartment. Well, I should be careful, here. Every now and again you’d run into someone in his early 30’s, trying to act inconspicuous, perhaps with a beard, glasses, or both. These were the managers, almost certainly on their first management job. With my grey hair and, and, well, senior sixty, I kinda stuck out like a sore thumb. This is what struck me: Where were the old dudes? This is, after all, a company that grew from 800 employees in 2004, at their initial public offering, to about 16,000 when I interviewed. That’s about twenty-three new hires per business day – with an average tenure, at that point, of about 1.5 years. 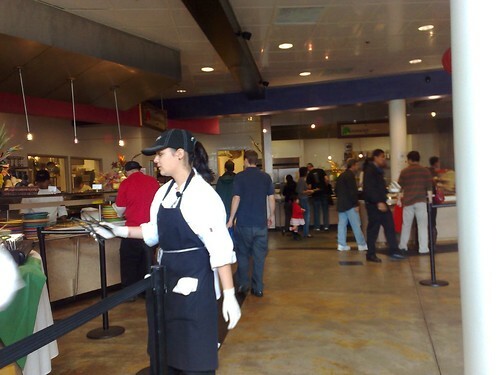 Where did most of those employees come from? Certainly MIT, Carnegie-Mellon, and the University of California at Berkeley would be likely places for recruiters to hit; places with lots of about-to and recent graduates looking for cutting edge programming work. For that matter, new graduates are easy. They work really hard, they have few responsibilities and obligations outside of work, and often are at a place in their lives where relocation is no big deal. If you’re trying to build a like-minded workforce, you might do well to recruit young bucks fresh out of school. A grey-hair sportin’ a “senior sixty”? Not so much. But what about the old dudes? During my interview at Google, I realized something very important: You get fifteen years. That is to say, your half-life as a worker in corporate America is about age thirty-five. Around that time, interviews get tougher. Your obligations make you less open to relocation, the technologies on your resume seem less-current, and your ability find that next gig begins to decrease. Notice I said half-life. By thirty-five, half the folks who started in technology have gone on to something else — perhaps management, consulting, on to roles in “the business” or in operations. Some have had a full-on career change, got that MBA and gone into management consulting, or perhaps real estate, education, or, well … retail store management. Who knows? A few might go into journalism. Yet a few stick it out. Half of the half-life is fifty, and, sure, perhaps 25% of the folks who started as line technologists will still be doing that when they turn fifty. But by the time you turn thirty-five, you’d better have a plan. That gives a new college graduate fifteen years to build some savings, to get the house paid off, and to find a second career. That’s plenty of time. Is a different way to look at it. That twenty-one year old, fresh-faced kid we are all so jealous of with the great gig at happenin’ company? He isn’t really qualified to do anything else. He goes and gets a job by default, because it’s the easiest thing to do. He can’t consult, or at least he shouldn’t; you see, he hasn’t done anything yet. That is where those of us in the middle of the half-life curve have an advantage. Hitting half-life may be a shock, but it’s kind of same shock as a bird, kicked out of the nest by a parent. You have to leave the nest in order to learn to fly. And, surrounded by twenty-somethings talking about order-n-linear algorithmns and the efficiency of recursive vs. linear solutions, that is what suddenly hit me. I didn’t fit in, and that was good. It was time to leave the nest. Over the next few posts, I will be talking about people who are going against the grain, re-inventing themselves and their careers – often against startling odds and with two hands tied behind their backs. I think Google is a unique organization to itself. I am nearly 40 and I know people personally who work there. Seriously, 8+ interviews? I would not call Google the norm in any set of circumstances. However, I am starting to see the beginning of age discrimination among IT workers who did not choose to go to management, like myself. I am actually training to leave IT entirely in the next couple of years, even though I can code in 5 languages (including COBOL and Java) and can deploy Win and Linux systems with my eyes closed. I have a "jack of all trades" IT background yet I grow tired of training a non-tech person whom all the sudden becomes my manager or some reason why I am not flipped over to FTE or whatever. IT is becoming the four-letter word profession in the US and getting out of bed is harder and harder each day for me. In 10 years, it'll be on par with being a janitor or digging a ditch. I am getting out while I am still young enough. I have reached half of half of the half life and all of that time was with one major Global manufacturing company. I am 65 years old and in my 40th year of service (10 business / 30 IT) and still have no plans for retirement. I am one of those "line technologists" who early in my carrier came to the conclusion that management was not all that it was cracked up to be. That meant that my career competition, was not going to be the "Old Dudes", but the constant influx of "New Dudes". My success and longevity in this industry has to be attributed to my being flexible and constantly reinventing myself in anticipation of the advancement of the newer and evolving technologies. Part of that reinvention was determining how to maintain the pre half life mobility as I moved into the post half life responsibilities. This is an industry where your knowledge becomes outdated almost as fast as you acquire it. It requires constantly monitoring not only where the different technologies are going, but how it can/will impact your choosen world of interest from which you derive remuneratrion, validation, & satisfaction. Failure to evolve & reinvent oneself in our industry is a careen death knell. Whether that redefinition is a 2nd or even a 3rd carrier, or like me, the same carrier, survival of the half life law can only be attained through constant learning, evolution, & reinvention of oneself. I am working at a company where the ones doing the "driving" and planning are the older workers - 40-60 and the developers are younger. We are very lean and each one of us is a SME in our industry from CEO down with all major contributors in the US and developers and QA in India. It is working very well, and we are starting to expand from being a start-up to growing into a larger company. We have recently hired a young (but mature) MBA for marketing. There is a clear infusion of new information and techniques that she has brought in with her. She has made a major contribution to the growth of the company and was able to get senior management to pay attention and try something new. We recently launched a new version of our product with new branding thanks to our new marketing manager. Nothing but applause from a normally staid and conservative industry at a recent conference. I believe that you need both the experience of the old worker and the tools that the new MBA's bring with them. I used to hate people with MBA's but have completely changed my mind. I still hate jerks that have an MBA but love great younger people that have an MBA and that energy that sparks up a business like nothing else. I do wish companies like Google valued the older worker in their business culture. I think they are missing out. And I am so glad that the business culture where I work values everyone regardless of age. Thank you for the gripping article. I've read all of the comments here and on the related TheServerSide post comments. It seems like the commenter consensus is that not all organizations are so youth-centric, and that you're OK if you keep up to date. I've also summed this up a little more in depth with the article [A href="https://bit.ly/suf2Fy"]Old Dogs Must Learn New Tricks[/A]. Thank you. I suppose there 2 more important aspects to this issue - specialization and smarts. It is obvious to me if you are a specialist, age and experience is an advantage - IF (a big one) the specialization is hot or remains hot. Age is more of a liability for “jack of all trades” in the fast changing Tech World. The second one is raw smarts/creativity. If one is really smart and creative, he can out-compete duller younger programmers any day until senility sets in. He will also find creative ways to use his experience as a force multiplier and compensate for age induced cognitive decline. But facing sharp/creative, well trained and young upstarts like the ones in Google may be a more of a challenge. But, then Google is the very tip of a vast pyramid. There is a lot of room to thrive in the base of it.